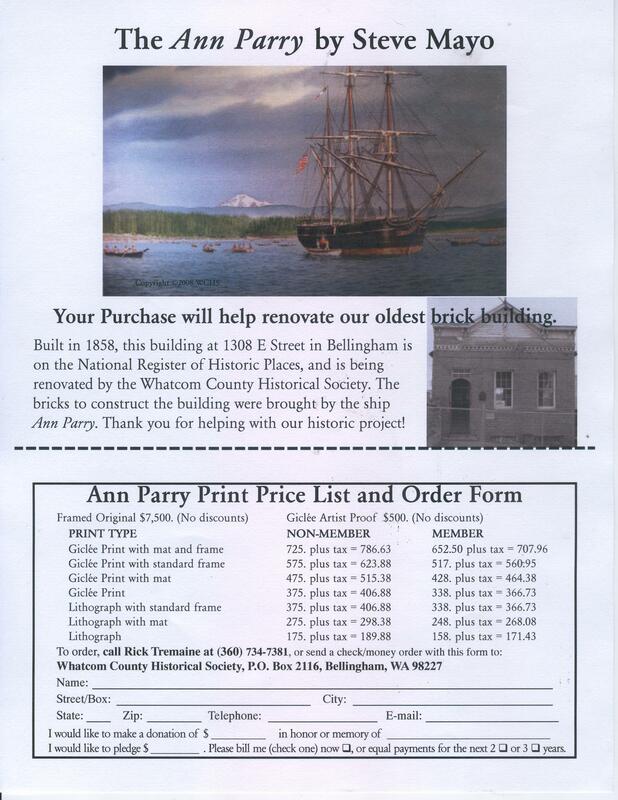 The oldest brick building in the State of Washington is right here in Bellingham. 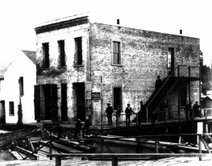 Built as a warehouse during the Fraser Gold Rush in July of 1858, it became the territorial courthouse in 1863, serving in that role until 1888. Built on the beach during that busy time, it housed the early town of Whatcom’s only safe, a jail and several businesses including a pharmacy, a printing press and a church. For over 50 years it was owned by Carl and Nikki Akers who operated a taxidermy there. Today, the Old Territorial Courthouse, as it is known, is under the wing of the Whatcom County Historical Society. In 2006, the building was the focus of a Save Our History grant. Students from Sehome High School read original court cases that were initially heard in Whatcom County and posted them at Historylink. Students also studied the bricks and community during the early years of the building. The project received national honors for project manager Janet Oakley and lead teacher Dave Hageman. Securing the grant most likely helped in securing additional funding grants and donations that has upgraded ditching, brickwork and other important preservation projects on the building. The courthouse has been restored, but there is still landscaping, a handicap lift to install and future interpretation. You can help in several ways. First, by purchasing a print of the Ann Parry by well-known maritime artist Steve Mayo. Based on research in local and national archives it details the Ann Parry unloading bricks. Call Caroline Flinkinger to purchase at 360-739-7553. Purchase brick to be placed on a future walk way on the side of the building. Remember a family member or a time in history with a simple inscription. Bricks are $50.00. About the “bricks” – I was wondering if you might have a certificate of some sort, maybe with a picture of the old courthouse that could be presented to someone as a gift. In other words, I buy them a brick for Christmas, and have a nice certificate of some sort to give them indicating that they have received a brick in the walkway on the side of the restored building. Make any sense? I could make up something myself, but I thought you might already have something along those lines. HI, so sorry to be slow. I’m not coming here often enough. I’m sure that could be arranged, if not already. Rick Tremaine is our finance guy. His contact info should listed on the form. Next meeting is this coming week. I don’t know if anyone ever answered your note. Bricks can be purchase for $25. during our Old Town Days on August 17th, 2013.